My grandmother's copy of GWTW Image Jennifer D.
Like many a GeekMom, I am a voracious reader. My preference tends to be fiction of all sorts: historical, science, fantasy. As a young teenager, one of my favorite movies was Gone With The Wind which was based on the book of the same title by Margaret Mitchell. I thought Vivien Leigh was one of the most beautiful women I had ever seen. Her Scarlett was just so devious and hell bent on getting her way. I admired her for her tenacity and pitied her for her selfishness. It wasn’t until much later that I actually got around to reading the book. I believe it was shortly after the misguided miniseries Scarlett tried to pick up where the original story left off. 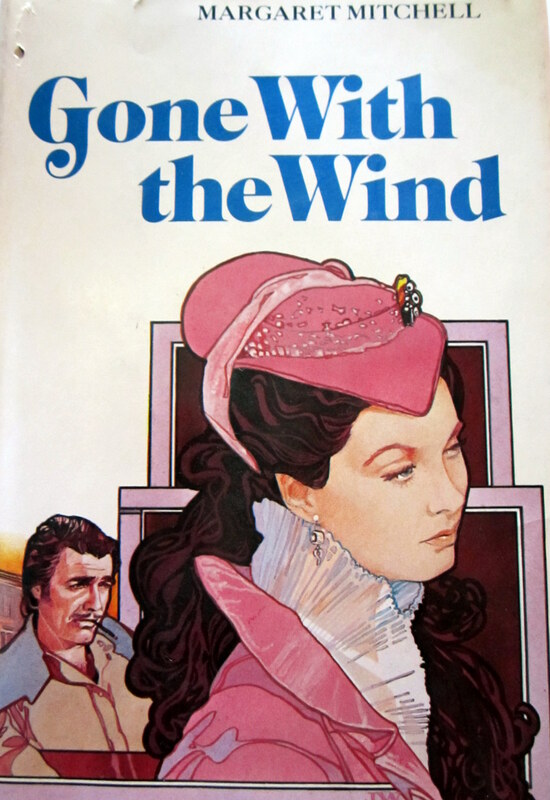 Someone bought me the book to go with the miniseries and I decided I would read Gone With The Wind first. The novel pretty much followed what I had seen in the movie. No big plot changes that I remember. So when discussion came up about Banned Books Week, I was surprised it was on the list. Sure it had slavery and violence, but it was the story of a Southern woman surviving the Civil War in the United States and seemed fairly historical to me. Of course, when the book came out in 1936 words like “damn” and situations like divorce and prostitution were much more risque. These days though, people are objecting to the book because of the “n word”. Personally, I don’t like that word. I have never liked that word. To me, it is a hate word. I didn’t even like typing it just now. It bothers me when I hear it and Oklahoma is far enough South that I do still hear it now and then. Being of Native American descent, the best comparison I can think of is when someone uses the word “Squaw” or “savage” when referring to an Indian person. In my mind, these kind of words are meant to hurt the other person. However, when these terms are used in a literary sense they take on a different meaning. When these kinds of words are used in literature, they are used to help set the tone and historical perspective of a story. These types of words have been used throughout historical literature because they were typical of their time period. To ignore that is to bury history under the rug and hide our heads in the sand, pretending life is all butterflies and flowers. To ignore it is to ignore the generations that have come before us and their experiences which have made this world what it is today. Gone With The Wind in particular touches on a turbulent time in America and rather than make it more genteel, Ms. Mitchell chose to embrace the harshness of the times. So while I dislike these type of words, I must defend them when they are used in literature. Controversial books definitely DO have a place in libraries and people should be encouraged to read them. Gone With The Wind tells a universal story of survival in harsh conditions. Books give us a perspective on the human condition and helps us to see where we have come from, how far we have traveled, and how far we still have to go. If someone is wanting to ban a book, it means the book challenges your thoughts and ideas and isn’t that what reading and learning is all about in the first place? I was surprised to see GWTW on a banned books list, too. Guess what else is surprising – the use of the ‘n’ word in one of the Anne of Green Gables books. It was only used once, but it was so shocking to me because I didn’t remember ever seeing it before. At first, I was really disappointed, but I reminded myself that those were the times and bigotry or racism can exist anywhere, even on idyllic P.E.I. To remove words like that or ban books that contain them only decreases our awareness and makes hatred like that more possible. We can’t sugar coat reality, so we should stop trying.